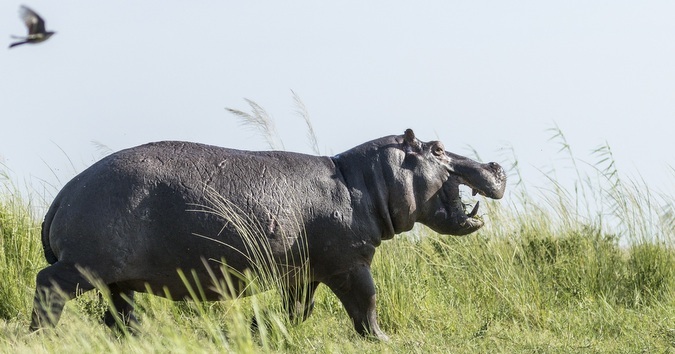 Although its size makes it fearsome looking, the hippo is often one of the most underrated animals in Africa in terms of its fearless and potentially bad-tempered nature. Hippos rank as one of the largest animals in Africa and are not known for their sunny dispositions, causing more human deaths in Africa annually than lions, leopards, crocodiles, or any other of the major predators. Read on to find our more interesting facts about these incredible mammals! 1) The name hippopotamus comes from the ancient Greek word hippopótamos, which means ‘river horse’. The direct English translation is ‘horse’ (hippos) of the ‘river’ (potamós). The hippo falls under the family Hippopotamidae and belonged earlier to the order Artiodactyla, but has now been reclassified with their closest relatives the cetaceans (whales, dolphins and porpoises) in the Whippomorpha order. 2) A hippo’s most important requirement is a permanent water source, i.e. rivers or dams with a minimum depth of 1.5 metres. At Bushwise, hippos are often seen on our practical drives, particularly at the Selati River and Makhutswe River that runs through the reserve. 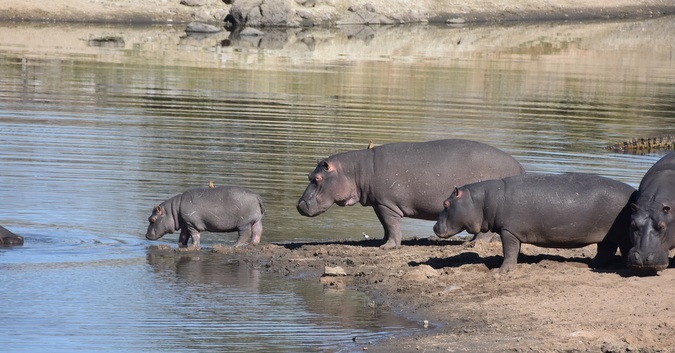 3) Hippos save a great deal of energy by staying in the water. Their large barrel-like bodies are kept afloat by the water and consequently they do not need to eat as much as expected – adults consume only 15-40 kg of grass in a night (which is a 1.5% of its body weight). Usually large mammals need to eat about 5% of their body weight to sustain their nutritional requirements. 4) Hippos can remain submerged for up to 6 minutes as they are able to close their nostrils and ears to prevent water from entering. A two-month-old hippo can hold its breath for only about 40 seconds. 5) Whilst a hippo is very adaptable in water, and are able to walk on the bottom of rivers or dams, they are somewhat clumsy on land. Hippos create negative buoyancy by breathing out before submerging and this allows them to walk underwater. They will also push themselves off the bottom with their feet and do a kind of ballet-gallop through the water. 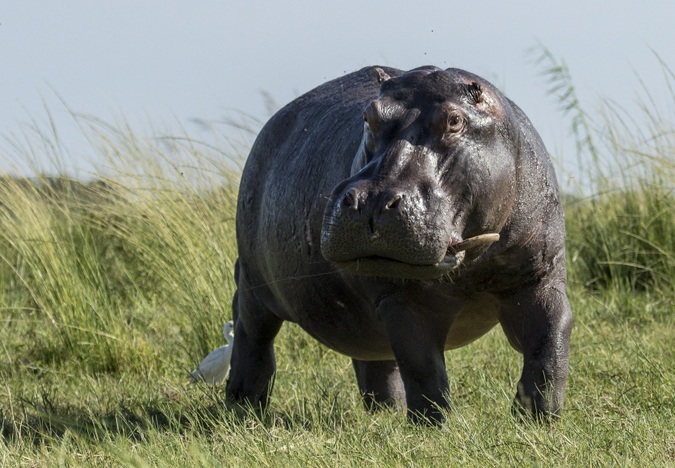 As a hippo moves, they create pathways through underwater vegetation which is a valuable ecological service and is necessary to keep waterways flowing. Although they are clumsy on land and cannot jump or navigate over obstacles, they can reach speeds of up to 36 km/hour if provoked. 6) Hippos have a very unique skin. The fine epidermis makes their skin extremely prone to dehydration, up to seven times that of other mammals, which is why they spend the hottest hours of the day submerged in water – without which they would overheat. If exposed to excessive heat and radiation a hippo will react firstly by secreting a red fluid from the mucous glands on their skin (which, by the way, is not blood as some say) that acts as a sunscreen and prevents the skin from drying out and cracking. In times of drought you will see hippos gathering in mud pools to hydrate. Female hippos have been seen dribbling saliva over exposed calves to protect their young. During cooler times (early mornings or late afternoons and low temperature days) they bask in the sun to warm their bodies up. 7) Hippos practice a harem system where bulls occupy well-defended territories that contain nursery herds of females and their young. Pods of hippo can range from two to 200 animals but typically contain 7-15. Bulls are especially grumpy and do not tolerate one another and even young bulls are slashed on the head and shoulders with their sharp teeth. Dominant bulls typically display their status through wide-mouth yawns that shows their formidable canine teeth, and plenty of grunting. This grunting leaves Bushwise students wide-eyed in awe when heard throughout the night on sleepout occasions. 8) Their lower canines are modified into huge tusks that grow continuously and may reach 30-50cm long. 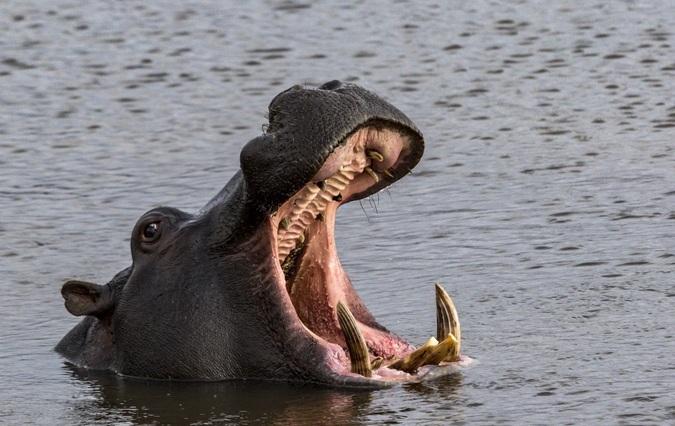 Their teeth are instruments of defence and it has been recorded where a hippo bit a 3-metre crocodile in half! 9) Calves are born in the water, albeit shallow enough so they do not have to swim to breathe. They are able to walk and swim within minutes after birth. They suckle underwater which is made possible by folding their ears and closing their nostrils so that they don’t drown when submerged. These adaptions make the hippo quite unique and fascinating to observe. 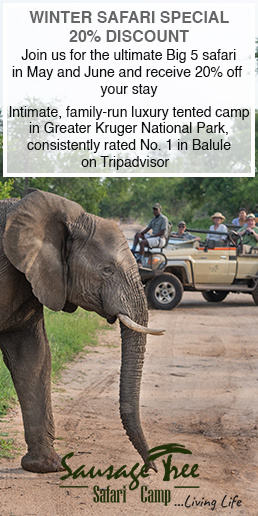 Bushwise students have the privileged of seeing these animals regularly on game drives and witness these adaptions in action.